This page provides links to a number of helpful resources to complement our website though Witton Chapel does not necessarily endorse everything that may published on the referenced sites. The 1689 London Baptist Confession of Faith can be found here. Lists churches throughout the UK and abroad that adhere to a Reformed basis of faith. An annual assembly for like-minded Grace Baptist Churches. "The Tabernacle Bookshop is a large Christian Bookshop based in London stocking a variety of sound christian books from famous authors such as Thomas Watson, John Owen, C.H. Spurgeon and many others - including Peter Masters, the pastor of the Metropolitan Tabernacle since 1970." "The Banner of Truth Trust is a Christian organisation which publishes books, organises conferences, and publishes a monthly magazine." "EP Books, or Evangelical Press, have been publishing Christian Books for many years: the company was founded late in 1967." Involved in translating the Bible into other languages and distributes the Bible and other scripture materials worlwide. "Answers in Genesis is an apologetics ministry, dedicated to helping Christians defend their faith and proclaim the gospel of Jesus Christ effectively. We focus on providing answers to questions about the Bible - particularly the book of Genesis - regarding key issues such as creation, evolution, science, and the age of the earth." 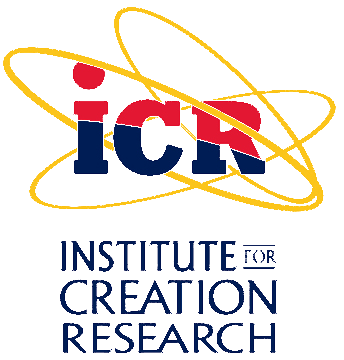 "For over four decades, the Institute for Creation Research has equipped believers with evidence of the Bible's accuracy and authority through scientific research, educational programs, and media presentations, all conducted within a thoroughly biblical framework." " We want to equip the church in its mission to the world, unite Christians around the central doctrines of Biblical Creation and nurture a biblically-based origins research community ." "Our role is to support the church in proclaiming the truth of the Bible and thus its Gospel message. We provide real-world answers to the most-asked questions in the vital area of creation/evolution, where the Bible is most under attack today - Genesis."